Singer/songwriter Sara Groves unveiled “Jesus, See The Traveler,” available today. A poignant collaboration with Groves’ daughter, Ruby, Groves received inspiration for the song while traveling overseas, listening to recounted stories of refugees fleeing war and oppression in various parts of the world. 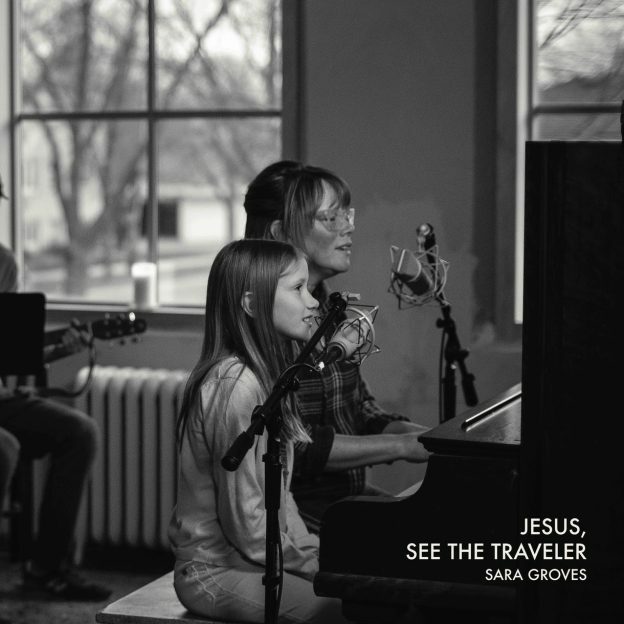 “Jesus, See The Traveler” is now available here. Sara Groves is a singer/songwriter and recording artist with numerous album-of-the-year honors and a career spanning two decades. For the past 14 years she has partnered with International Justice Mission (IJM.org) to advocate for victims of human trafficking and other forms of violence against the poor. Groves, her husband Troy, and their three children (Kirby, Toby & Ruby) reside in St. Paul, MN where they cultivate an artist community out of a 110 year-old church called Art House North (www.arthousenorth.com). Following the release of her 13th studio album, Abide With Me (2017), Groves’ newest, “Jesus, See The Traveler,” is available now.